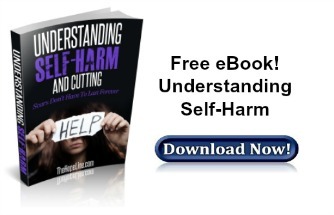 Struggling with self-Injury…lost hope? You are not alone. Bible verses of hope to help you cope and understand self-harm and God’s infinite love for you. Romans 8:30-34 – And having chosen us, he called us to come to him; and when we came, he declared us “not guilty,” filled us with Christ’s goodness, gave us right standing with himself, and promised us his glory. What can we ever say to such wonderful things as these? If God is on our side, who can ever be against us? Since he did not spare even his own Son for us but gave him up for us all, won’t he also surely give us everything else? Who dares accuse us whom God has chosen for his own? Will God? No! He is the one who has forgiven us and given us right standing with himself. Who then will condemn us? Will Christ? No! For he is the one who died for us and came back to life again for us and is sitting at the place of highest honor next to God, pleading for us there in heaven. Colossians 1:22 – Yet now he has reconciled you to himself through the death of Christ in his physical body. As a result, he has brought you into his own presence, and you are holy and blameless as you stand before him without a single fault. Philippians 4:6-8 – Don’t worry about anything; instead, pray about everything; tell God your needs, and don’t forget to thank him for his answers. If you do this, you will experience God’s peace, which is far more wonderful than the human mind can understand. His peace will keep your thoughts and your hearts quiet and at rest as you trust in Christ Jesus. Colossians 1:13-14 – For he has rescued us from the kingdom of darkness and transferred us into the Kingdom of his dear Son, 14 who purchased our freedom and forgave our sins. Ephesians 5:29-30 – No one hates his own body but lovingly cares for it, just as Christ cares for his body the Church, of which we are parts. 1 Corinthians 6:19-20 – Do you not know that your bodies are temples of the Holy Spirit, who is in you, whom you have received from God? You are not your own; you were bought at a price. Therefore honor God with your bodies.